Card cracking, also known as card popping, has become an increasingly common corporate security risk. 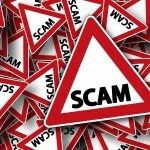 Card cracking is a scam that promises its victims easy money and a quick payout. Normally, card cracking fraudsters approach individuals on social media sites. The target victim is generally a young adult, such as a college student or junior military service member. After making contact, the fraudster persuades the victim to provide checking account information in exchange for a remotely deposited check. The fraudster then uses this information to withdraw funds from the victim’s account before the bank discovers that the deposited check is fraudulent. The victims of these crimes are harmed on several fronts. Firstly, they are likely to have money stolen from their account, despite being promised a “cut” of the card cracking scheme’s proceeds. Secondly, since they proved an accessory to this fraud, they are unlikely to receive much help from their bank or financial institution. Finally, victims of card cracking may face substantial penalties, even if they were unaware of the fraud. For example, their credit rating could be adversely affected and they could face disbarment from their financial institution. Some victims could even face severe criminal penalties of up to 30 years in prison. Fortunately, the crime of cracking cards is easy to avoid, once people are made aware of the scheme and its consequences. Since cracking card frauds are most likely to appeal to the financially distressed or those new to banking, banks and financial institutions should target their awareness campaigns towards these groups. Bank customers should understand that disclosing checking account information could open them up to fraud and identity theft. They also should have a point of contact to turn to in the event they are approached by a potential fraudster. Finally, customers should be made aware that filing false claims and attempting to defraud a bank can lead to serious criminal charges. Once individuals are made aware of the costs and consequences of these types of schemes, they will be unlikely to participate in the future. The IMG Group is a leading international security consulting firm with considerable experience in managing corporate security risk. Corporate or business organizations facing significant corporate risk assessment can reach out to the IMG Group for assistance. The company’s expert security consultants provide services such as executive travel security / employee travel security as well as international threat assessment, crisis management consulting and workplace violence consulting. For other security solutions that we offer, please see the links below.